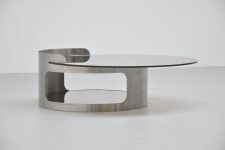 Very nice quality coffee table possible designed by Maria Pergay or Francois Monnet for Kappa, France 1970. 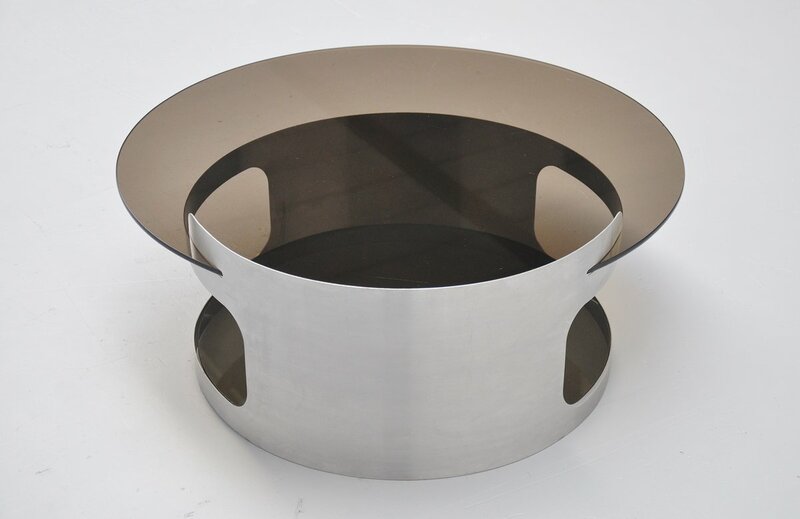 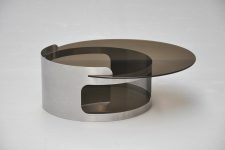 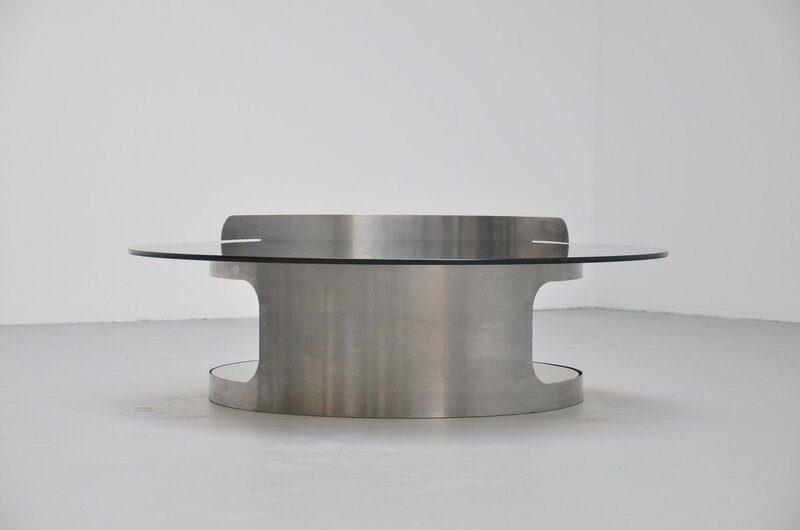 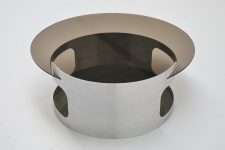 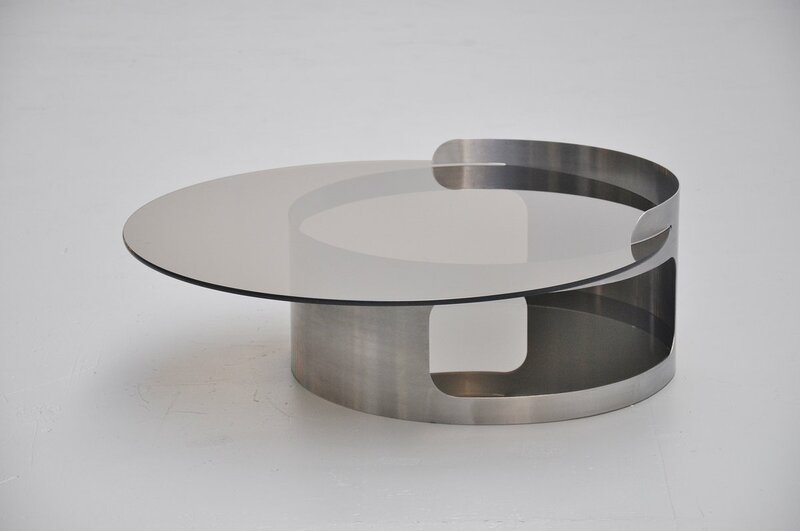 This coffee table base has a brushed steel base supporting 2 smoked steel glass tops. 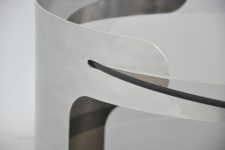 The table is very well made and made in France or Italy. 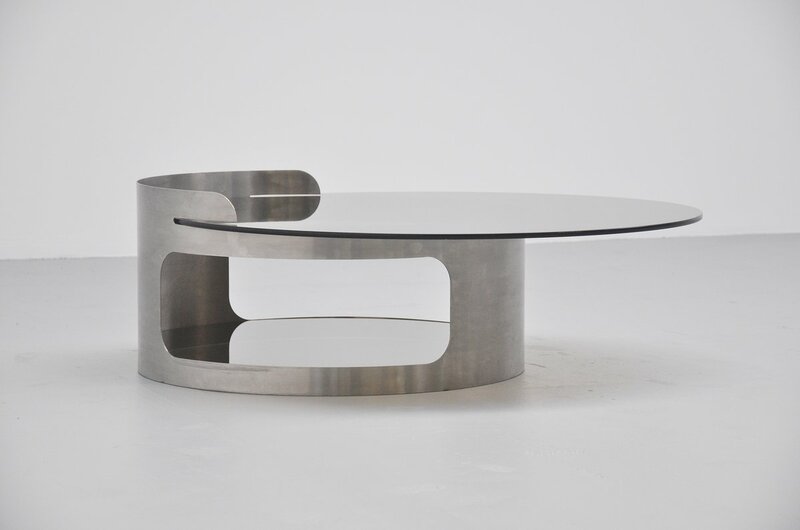 Unknown manufacturer but quality for sure.